The BIG REVEAL of our new Uniforms! 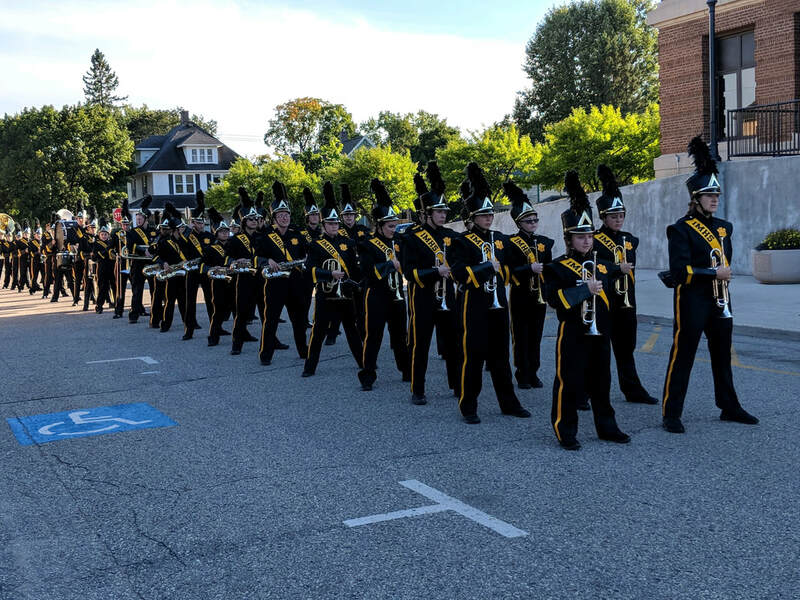 The band will be marching to the stadium for home games this season to the delight of the neighbors between the school and the stadium. Please continue to save Econo and SuperOne grocery slips. There are collection boxes in the Band Room. Send slips in with your students and give them to Mr. Williams or Mr. Recla. Music Boosters earn 1% of every slip. Thank you! If you are an Amazon Prime member, Music Boosters can earn money through the AmazonSmile program. When you place an order on Amazon through the "AmazonSmile" page and select Iron Mountain Public Schools Music Boosters, Inc., we earn a percentage of your purchase price. An easy way to help raise funds to support our students! click on this link: http://eepurl.com/ciyG4f"